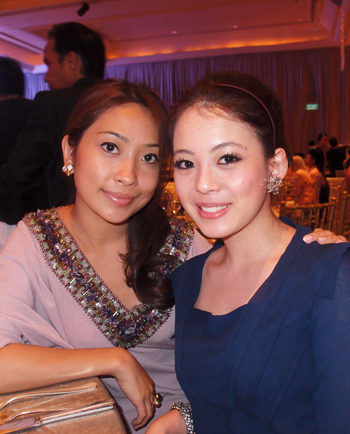 Everyone opts for a Western wedding, but just recently I attended a friend’s wedding and she went all traditional. Not like traditional mix modern, but full on traditional. I LOVE IT!! I was so proud of Zaireen for being proud of our roots. I feel like I should be writing in Malay for this post, haha! 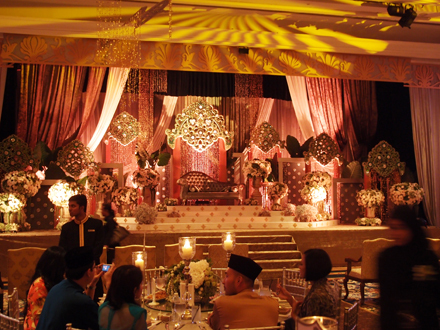 There wasn’t an English song at the wedding, and even her cake was pulut kuning. Impressive. 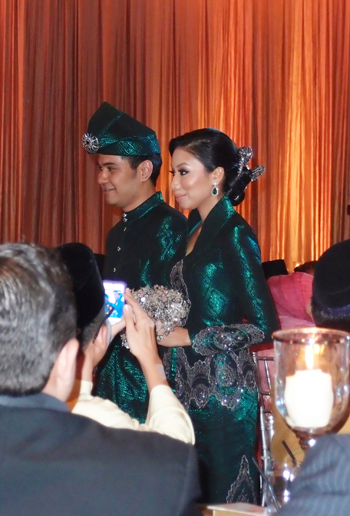 So cantikkkkk, full on songket! My favourite colour! 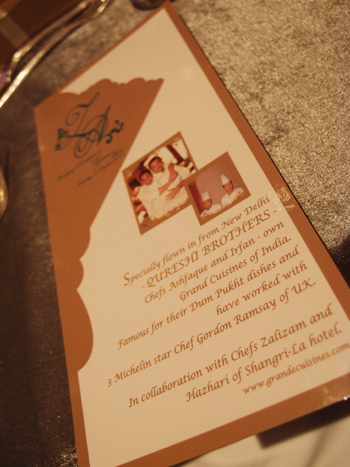 The food prepared was by chefs flown in from New Delhi. My dress was by Mimpikita’s upcoming new collection and I’m very honored that I’m the first person to wear it. Love it so much, it had like a little trail as well. 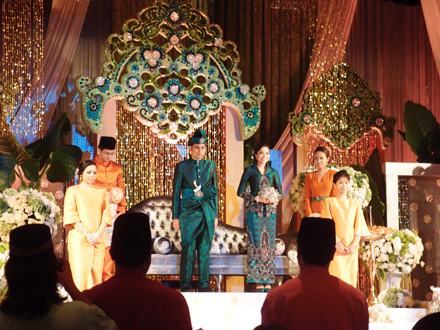 Dato’ Siti Nurhaliza came on stage as a surprise to the guests and belted out a Malay song while Zaireen and Amir cut the pulut kuning. 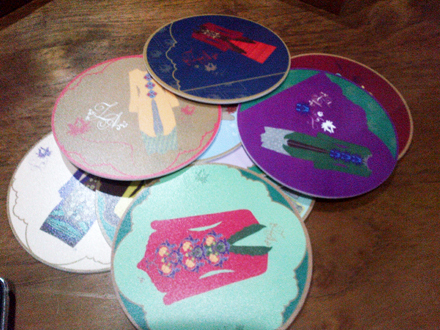 The gift for the guests was a 12-set coaster of traditional kebaya designs specially made for Zaireen. The days leading up to Zaireen’s wedding was so nice. Everyday there were tweets about it by her best friends and how everyone was so excited for her. They even made a Twitter hashtag thingy for her wedding. They threw her God knows how many surprises and they were there for her every single day preparing for the wedding. It was so sweet! Man, she doesn’t even have Twitter. 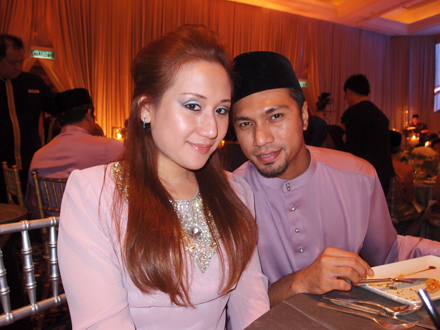 I was quite inspired by Zaireen’s wedding. When I get married one day, maybe I would opt for traditional too! My mom wore the super traditional red songket with the gold patches everywhere. So maybe I could wear my mom’s wedding kebaya and cut it up to make a slightly modern wedding dress. *holds scissors, opens mommy’s cupboard, evil laugh*————————> hahahahahhahahahahahhahahahahahhahahahahhahahahahhaha last2 mesti ada bende to make me laugh. oh so beautiful! 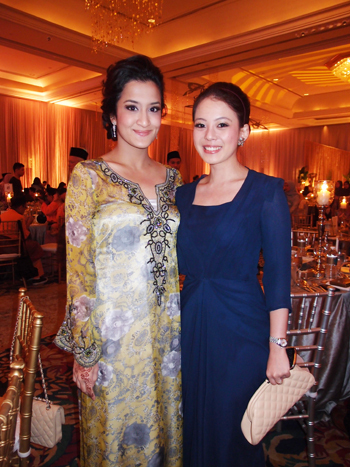 i really reaaaaally love her kebaya. the colours are just soooo pretty! V, is it your camera or everyone looks so pretty here? this kind of wedding is something rare nowadays! eh..gmbr siti nyanyi tu pak ngah kan? yg selalu buat lagu siti dulu2..
OMG your outfit is to-die-for. i love that blue color and the dress cutting is simply the bomb! U are the bomb as well! Greetings from New York :). I found your blog via another friends’ blog. Your friend had a gorgeous wedding! Traditional Asian weddings are so beautiful. My Pakistani friend got married a couple of years ago and she went full on traditional as well (3 day wedding). 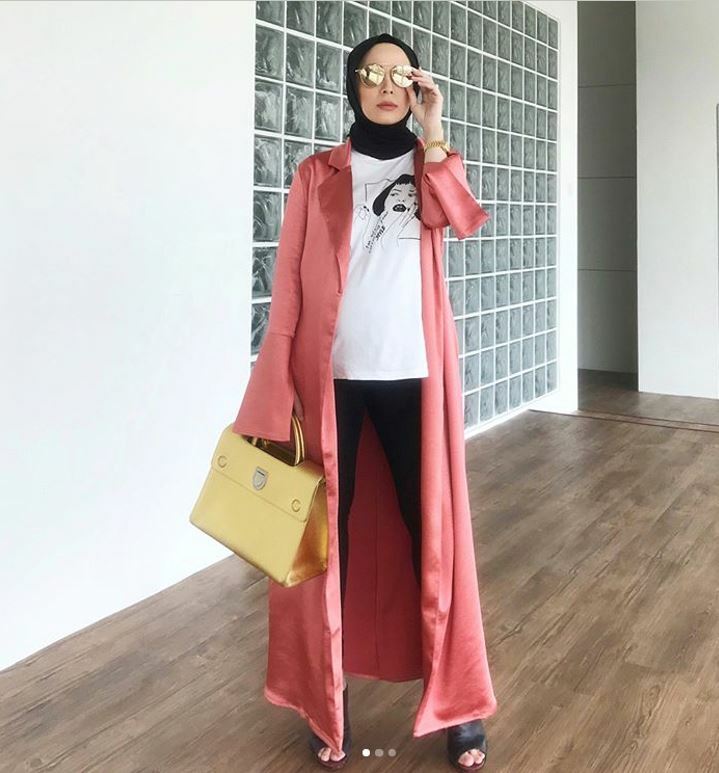 Vivy, cantik betul baju pengantin ( terutamanya pengantin perempuan)…. Yeah, it was very traditional BUT candles in glasses? I don’t think that is traditional. Should have been something else or just put traditional deco on the tables. But overall it was a pretty wedding. Love the coaster! hi vivy..just follow urs..love ur dress..superb canteks..!=)..and the wedding..oh my..susah giler nak jumpe wedding tradtional skrg..canteks giler wedding die..congrats to the newly weds! love the wedding gown!! do you know who made it? the colour, cutting, design – PERFECT!! ur dress really nice! love it! congrats zaireen… beautiful weds! The wedding was simply amazing! 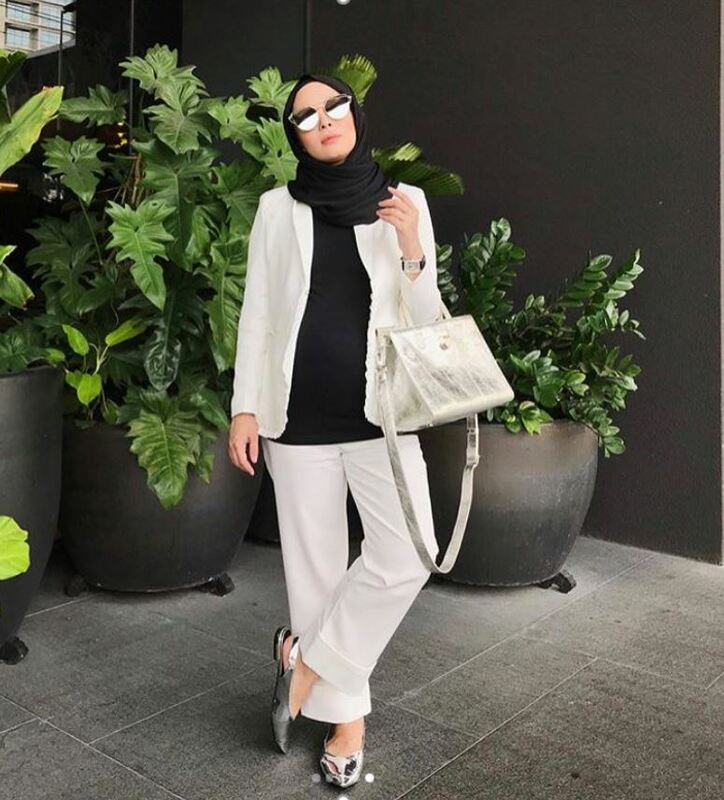 Outfit by Rizalman Ibrahim. Just perfect!